Thats why I came to Singapore. Mediacorps' production. This was a talent hunt for youngsters between 13-17 in Singapore. They called me in to host the final episode which is why we landed here. Tipu and Harini came in as special judges as well. I was told that this was the first ever time that they called in someone from India to host a show on Singapore television. This contest has been going on for the past ten weeks and was hosted by Ilamaran, one of the leading singers in Singapore. I was his co-host. The point about this show was that it was Live. It was a live telecast from the Mediacorp studios. Ilamaran and I had a sort of a rehearsal yesterday to go through the script (for the first time in my life, I was given a script to host a television show and it came in even before we left to Singapore). Under the guidance of Thaamarai, producer of Yaar Andha Star, she is one very exacting person and very meticulous, everything went according to plan today, when we actually started rolling. Ilamaran was extremely affable and we hit off pretty well. Once we kinda went through the script, I went to give an interview and only had enough time to catch some zzzzz.This morning we went to the studios by 10 AM and I started writing points on my cue cards. Which was also a first. I actually got the opportunity to take down the names of the contestants, because I would actually see them and hear them perform live for the first time. The show was for 90 minutes. Around 3 pm Ilamaran and I went to the floors for a dry run. Right from the opening walk-in to all the performances and the final bye we went through every line of the script. It was good to have a script to know what was coming when, and especially the names and what they were going to sing. It was also good to know how long we would take and whether we were running late. The dry-run clocked 93 minutes. We overshot by almost 3 minutes. We went on the floors again at 6:20 PM and we were on stand-by. An interview with P C Sreeram was going on just before ours. The best thing about this event was I was not nervous at all, which was weird, because I expected to be. Maybe I was OK this time because there was preparation and I actually knew what was going to happen when. 90 minutes flew past and it was a breeze because Ilamaran was great support. And when we said "Bye Bye see you next time" we clocked precisely 90 minutes. Yaar Andha Star was won by a boy called Koushik who was very good today. I must also say all the 9 singers today were very good. We heard that the talent level would only be "mediocre"", but when we did hear he performances, (most of them were totally untrained) they were very good. Also they do not have the kind of exposure to the wide range of music that Indians living in India have. Koushik was trained and it showed. We attended a reception and dinner thereafter and I got to speak to a lot of people and there were a lot of photo-ops as well. Today would be the best day of the trip. And I am totally waiting to come back home. Time and again its getting reaffirmed that I will not be happy anywhere except India. Nowhere but India. Nowhere but Chennai. I am a fan of your singing esp in ARR's music. From Aaruyire to Sahana to Mayya Mayya. Your vocal ability is like wow.. Talent is really growing World-wide. Glad that you spotted and enjoyed some wonderful talent in Singapore. how come u blogged so fast?? ?.it was a great show.how u enjoyed the 2 days with pixel:).any way's have a great time shopping tomolo with thamaray and have a safe journey back. cheers to u and yr mother! also pl pass on some photos of the event. Hey! Wow! updated your blog so fast! your debut on Vasantham Central was surprising! I was like.. is that Chinmayi! haha..
Have been reading your blog since you last came to Singapore in Dec 2007. Me too waiting for u coz I miss u at AKK. Good to hear that u did the program well. Always u Rock Chin! Re: "Time and again its getting reaffirmed that I will not be happy anywhere except India." I used to think that way and am now very much at home in Melbourne. I think it depends on who you are (your age, your aspirations) when you visit a new place. I've also found that there's a big difference in visiting with the intent of staying. Hmm .. Reality shows that are telecast live = Wow.. This is so 'wow' that, I even wrote a post bout' this on my blog..
Svargame endralum athu namma orra pola varuma? Ooops..Photos by any chance ?? Just came to know about your blog through blogkut.com. It's nice to know that you are blogging that too so fast. I've been a fan of your singing and anchoring and now blogging;) It was a surprise to see you in 'Yaar Andha Star 2008'. After seeing your bloopers in Super Singer Juniors;), I was wondering how you would perform in a Live Program but you did an excellent job indeed. Mediacorp is doing a good job in encouraging the talents in Singapore. If the young talents here get proper training, attention and expsoure, they would perform much better than this. With Singapore being so small with less than 10% of Indian population, it's amazing to see this much of talent here. ஹாய்....அக்கா! இல்ல எல்லோரும் இப்படித்தான் ஆரம்பித்திருக்கிறார்கள், அதுதான் நானும்! அட...அட...என்ன ஒரு சூப்பர் நிகழ்ச்சி! சும்மா சொல்லகூடாது யார் அந்த ஸ்டார்னு என்னை கேட்டா நீங்கதான்னு கொஞ்சம் கூட தயங்காம சொல்வேன். உங்களைப் பாராட்டி ஒரு கவிதையே எழுதலாம், இருங்க திரு. வைரமுத்துகிட்ட கேட்டுகிட்டு வருகிறேன். Hello Mr.Pattukottai Premkumar.. semma kavidhai about our Chinnu akka.. kalakeetnga.. serious ah chance ae illa.. pul arikardhu..!! keep it up..!! And blockbuster song you sang with Maran, 'Sahana' was beautiful. The Live TV show would have been a great experience, right?! Must b back in Chennai - right? I sent so many mails when u were in Sin - but no reply...were u very busy?OK pa.Next time varappo paarthuta pochu...correct thaane? i am glad that you had a wonderful time in Singapore. Ilamaran is my favorite local singer. he is good in his comedy as well. i am sure it would have been a great performance by both of you. Thanks for the compliments you gave about the younger singers in Singapore. i am sure it will go a long way and bring out their talent even further. 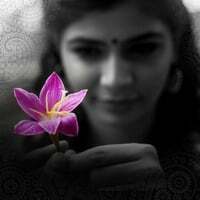 Chinmayi Akka!! !The singer who took not only those in the Mediacorp studio but also those (like me )watching from home by storm.You sang Mayya Mayya and Sahana(did not mention this in ur blog at all..)very well!!! I need not say this ,but have to... YOU ROCK AS USUAL! !Hats off. hey akka, sivaranjini pillai here. really enjoyed you coming here and your 'maiya maiya' was am amazing. your really a singer who enjoys what she does. keep in touch and have a nice day. bye!